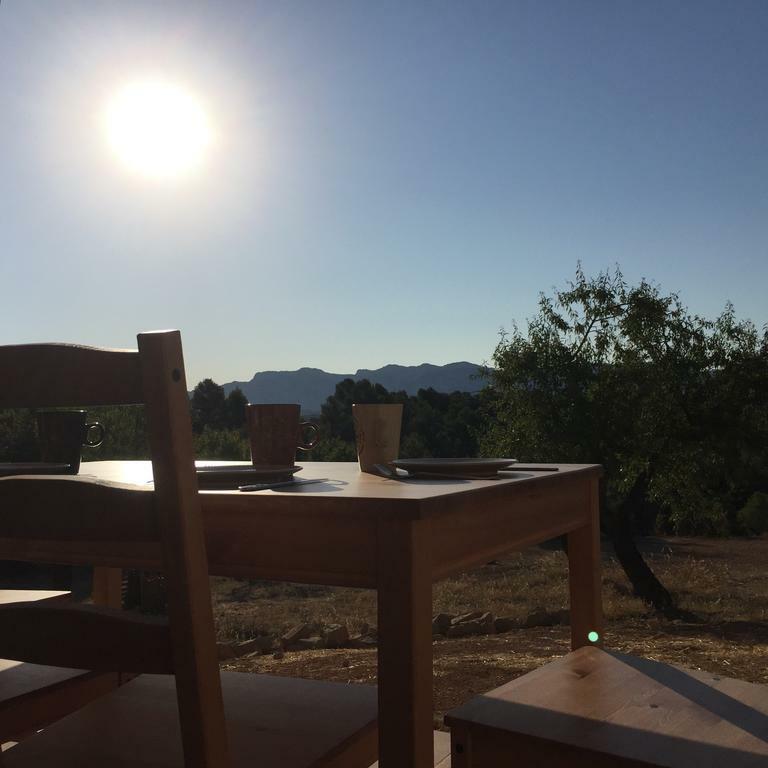 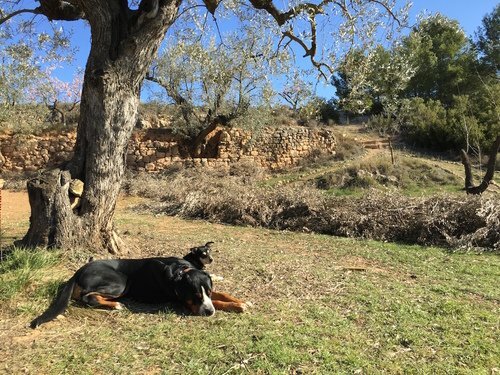 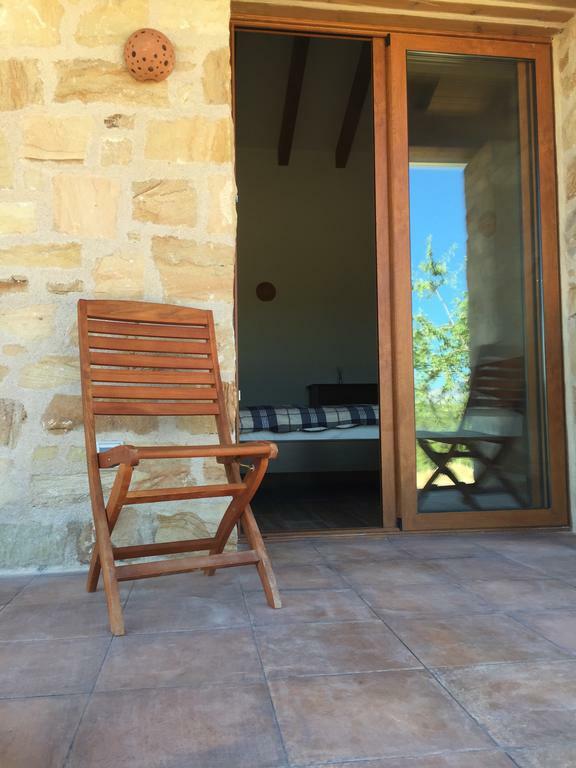 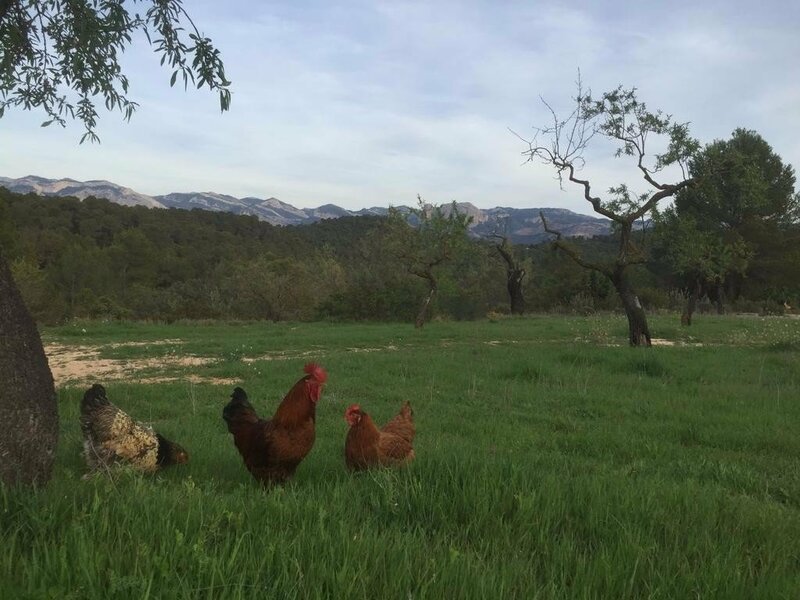 Mas del Encanto farm stay lies in a beautifully remote spot about an hour and a half from Tarragona along the Aragon/Catalonia borders, and is of particular interest because of its devotion to permaculture and self-sustainability principles. 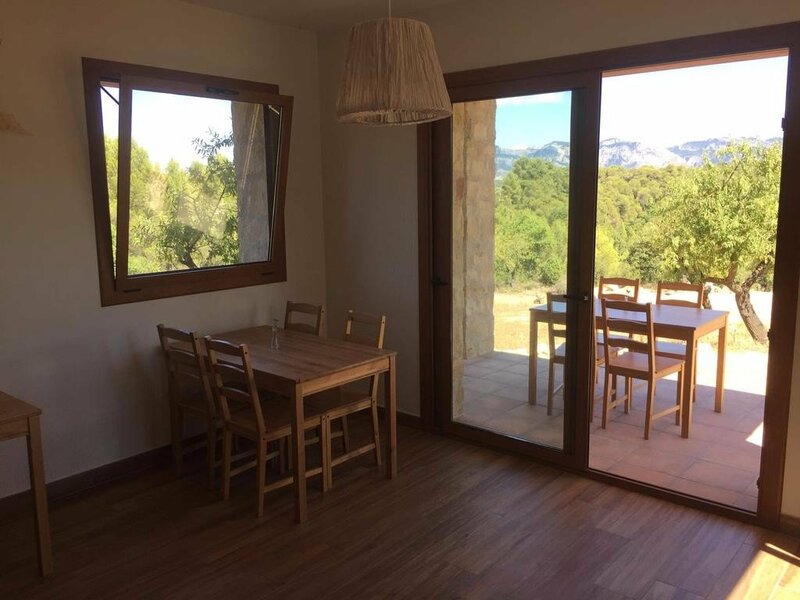 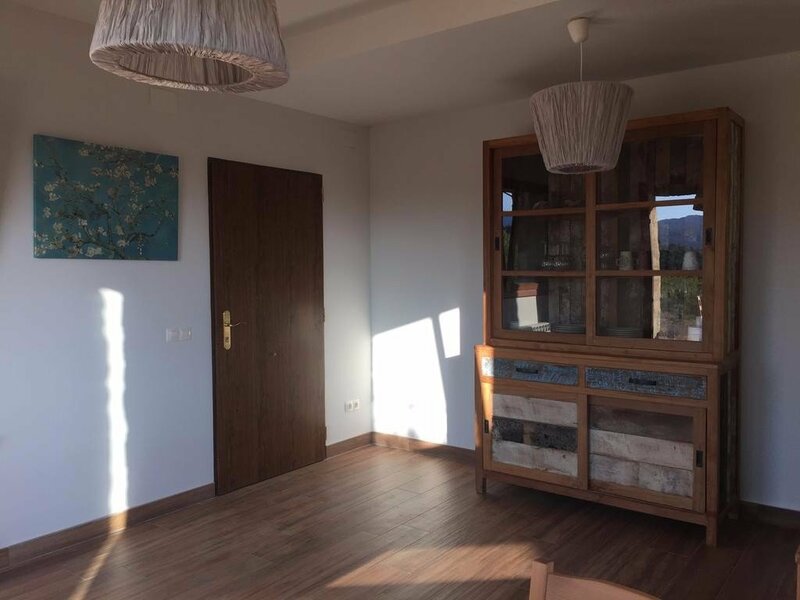 The owners are a Belgian/Dutch couple with a passionate interest in just that, and are equally enthusiastic about sharing their interests, and their space, with guests from around the world. 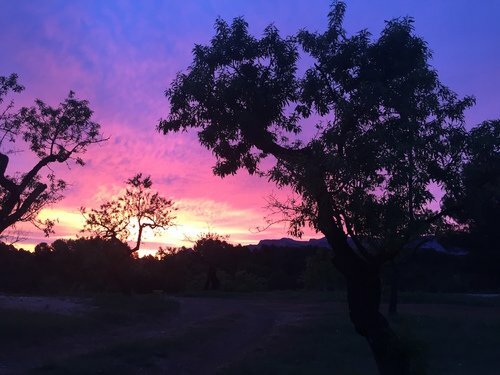 For those who appreciate the feeling of being off the beaten track while also minimizing our debt to mother nature, you can do so at Mas del Encanto without forgoing modern comforts and facilities. 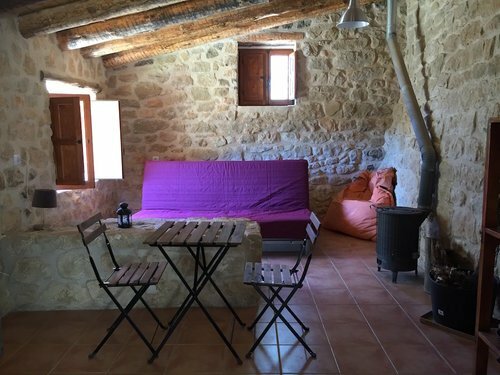 The elegant farmhouse is newly built but in a quite traditional Mediterranean style. 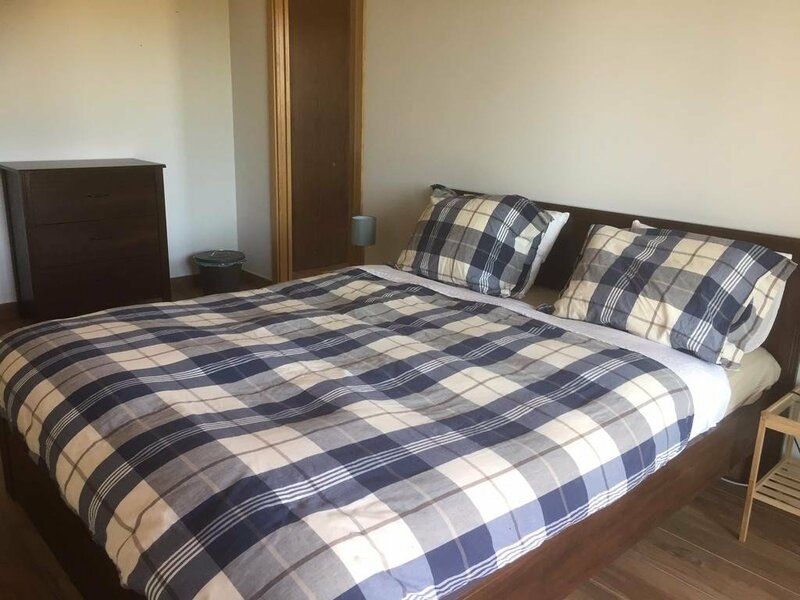 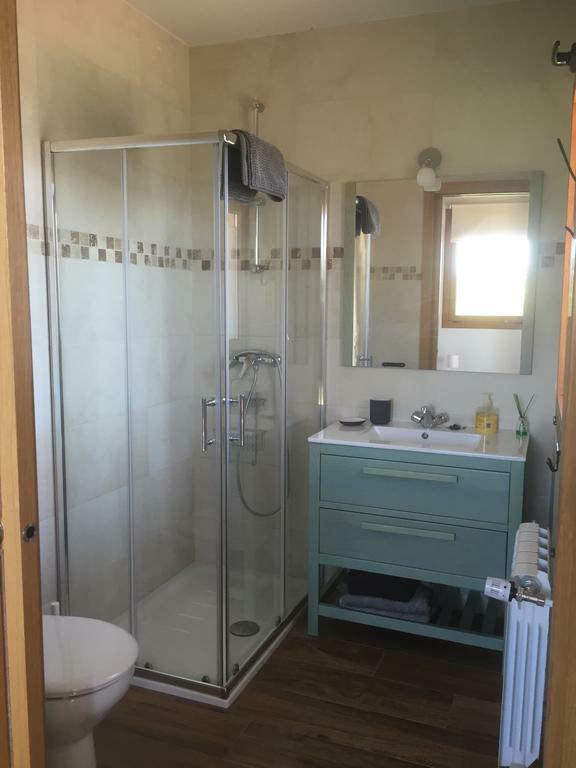 It has two very comfortable B&B rooms with private bathroom to choose from; the first is a twin/double room with one double or two single beds, and the second a family room with one double bed plus one or two singles or children’s beds in a separate room separated by sliding doors. 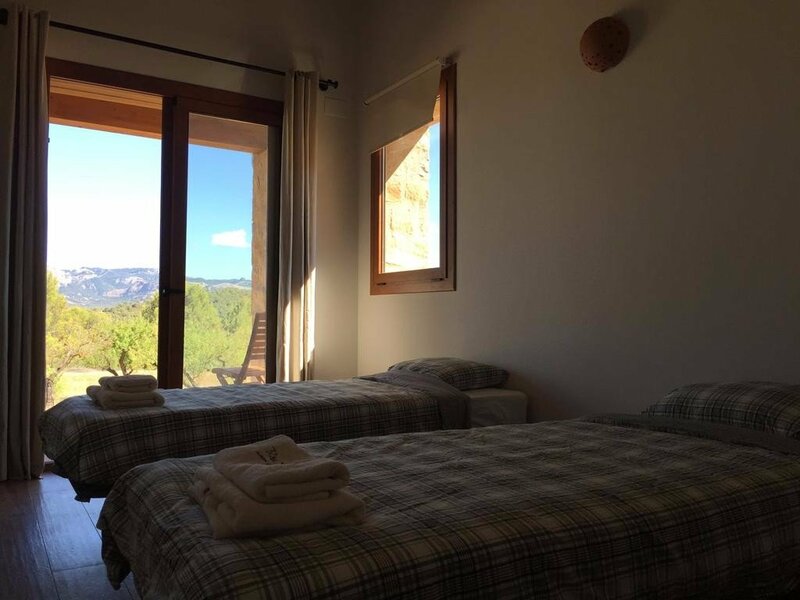 Both of the rooms come with their own very nice outdoor terrace with views of the Els Ports mountains. 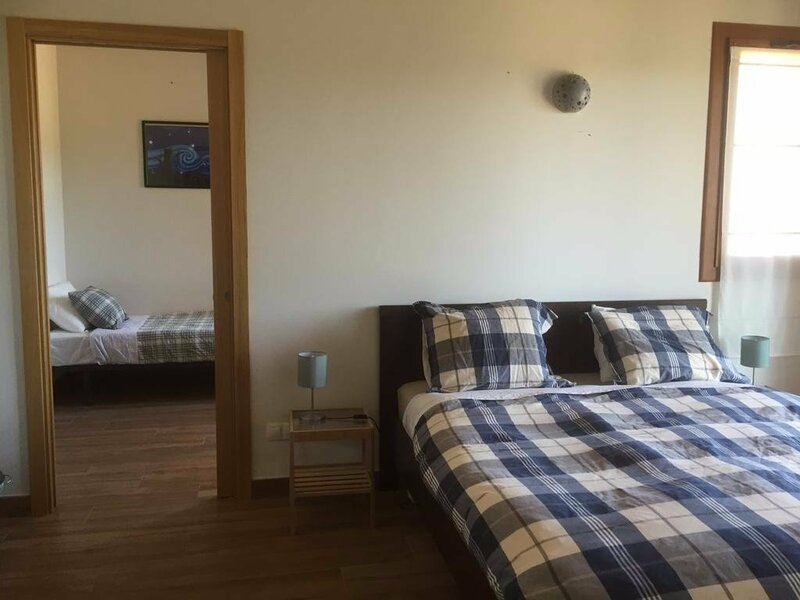 The property is large, with plenty of common social space both inside and out, and a 24/7 self service honesty bar. 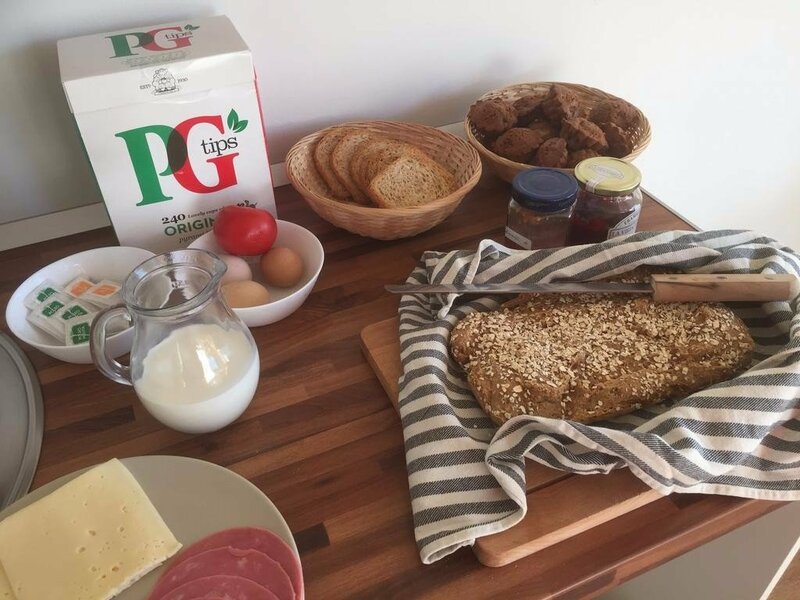 There is WiFi throughout and you’ll have a very good and generous breakfast waiting for in the morning with much of the ingredients coming fresh from the farm. 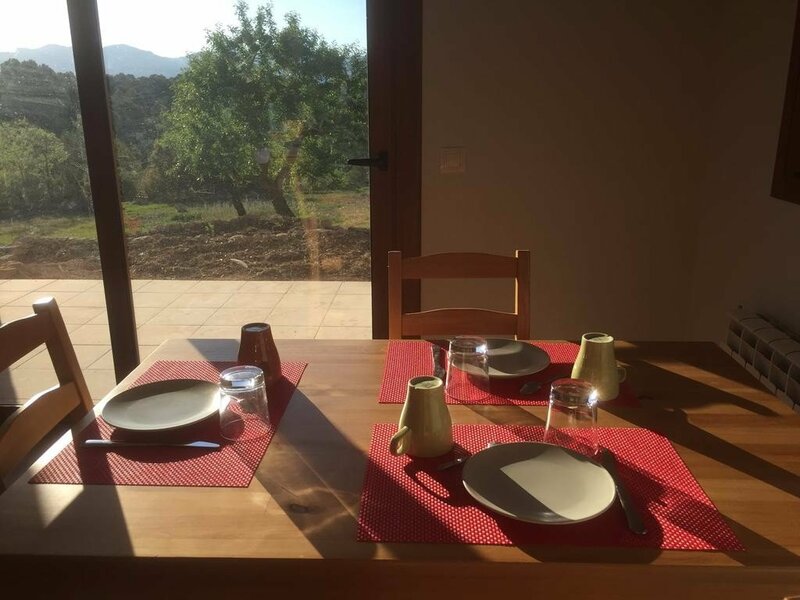 The friendly owners can sometimes also arrange light evening meals for you too if given a bit of advance notice. 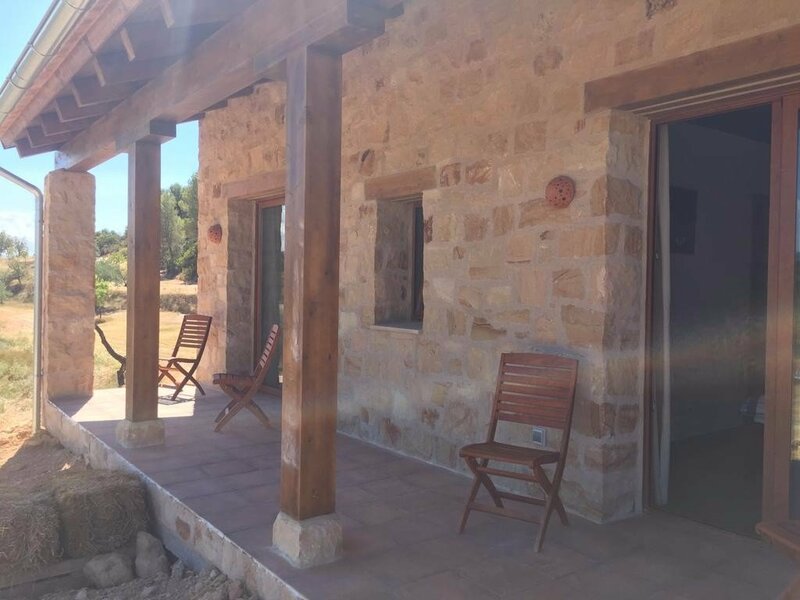 Rather impressively the entire property lies entirely off grid with electricity coming from solar panels and water from rainwater catchments and borehole wells. 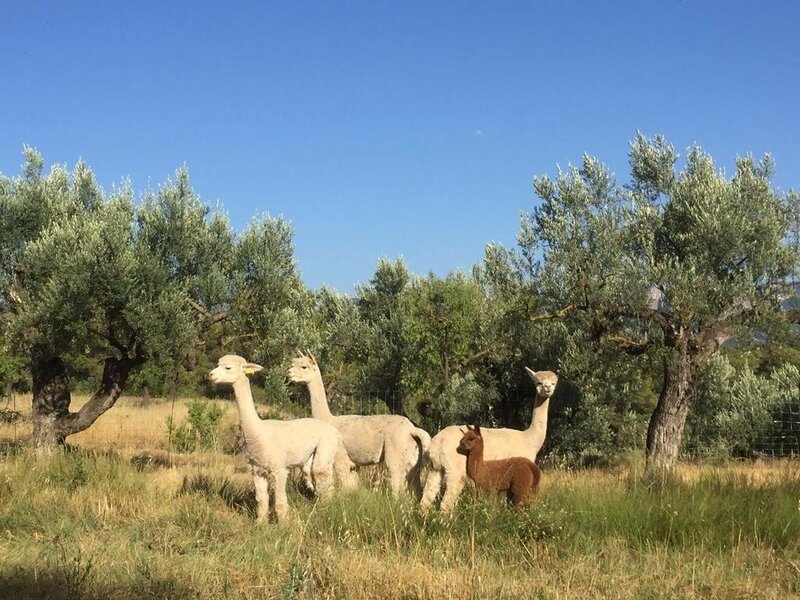 Both hens and alpacas are kept on the farm, but the main business is in the production of almonds and their own extra virgin olive oil, and they also grow a variety of other fruits and vegetables too. 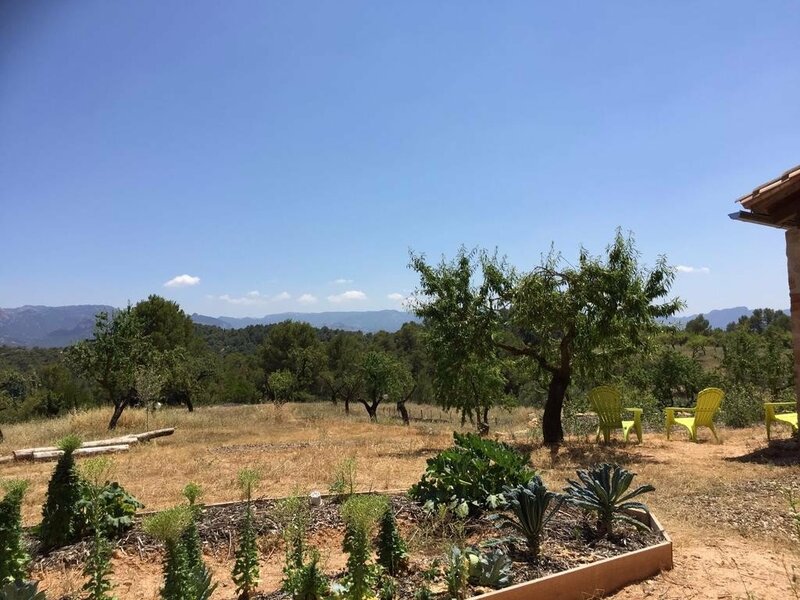 This is all done in line with permaculture principles and the owners are always very happy to show guests around and to share with them both their successes and their struggles on the journey towards food self sufficiency. 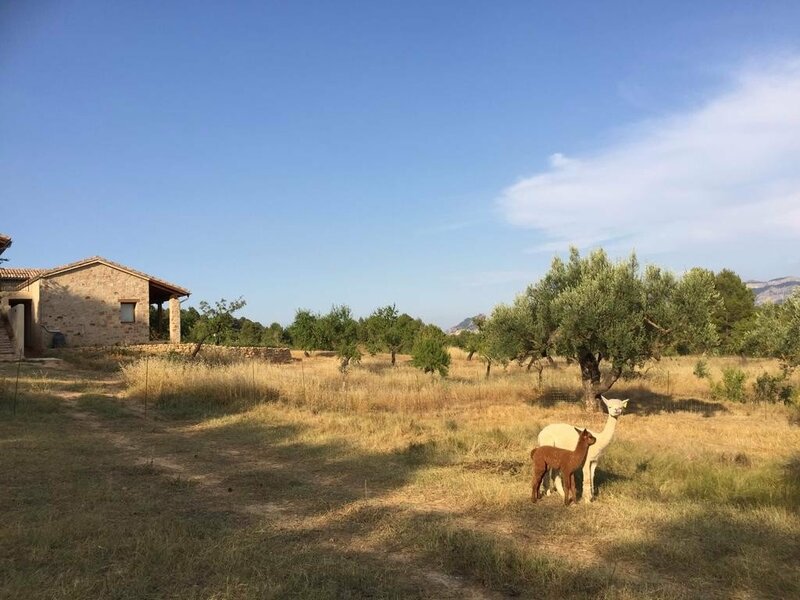 The nearest villages to the farm are Lledó and Cretas both less than 5km away, while the picturesque Horta de Sant Joan in neighbouring Catalonia is just about 12 km away. 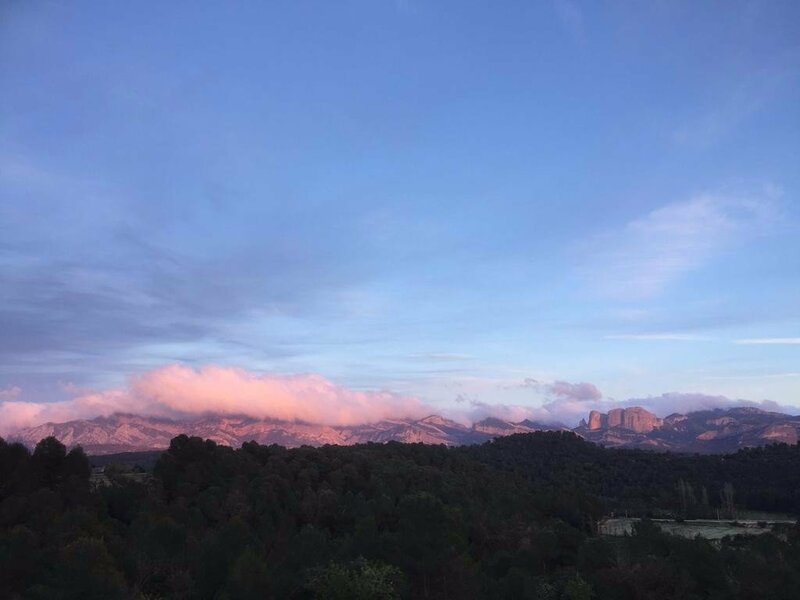 The wonderfully wild Els Ports National Park runs through the area also and is a great place for long hikes though its rocky hills, forests and canyons, and there is plenty more to see and do in the surroundings feel free to ask the farm owners for tips and advice. 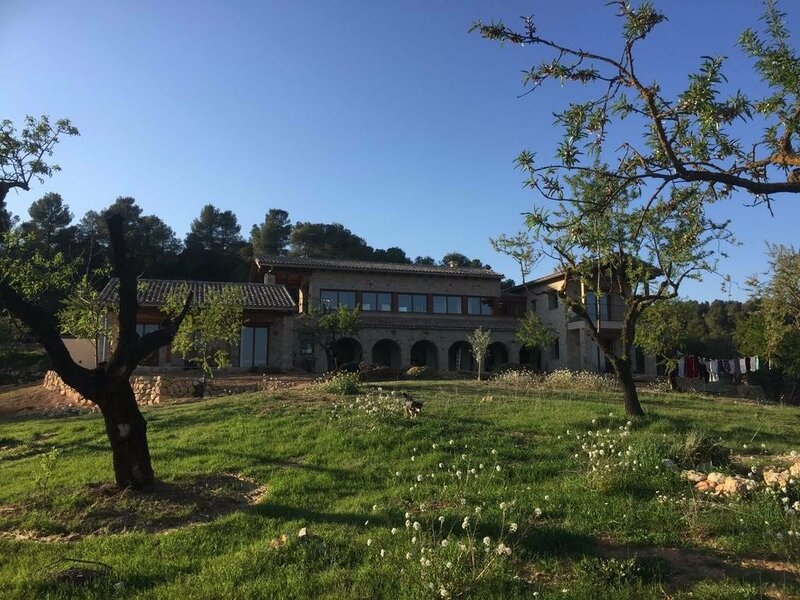 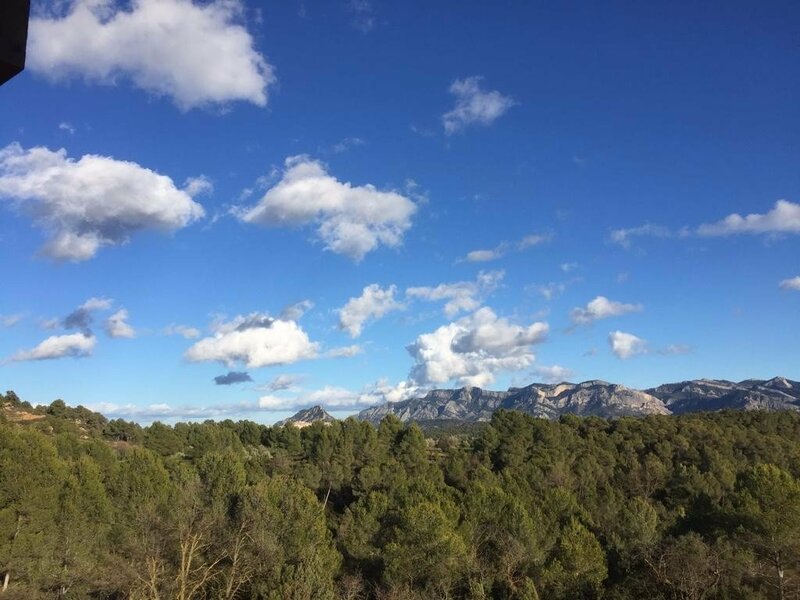 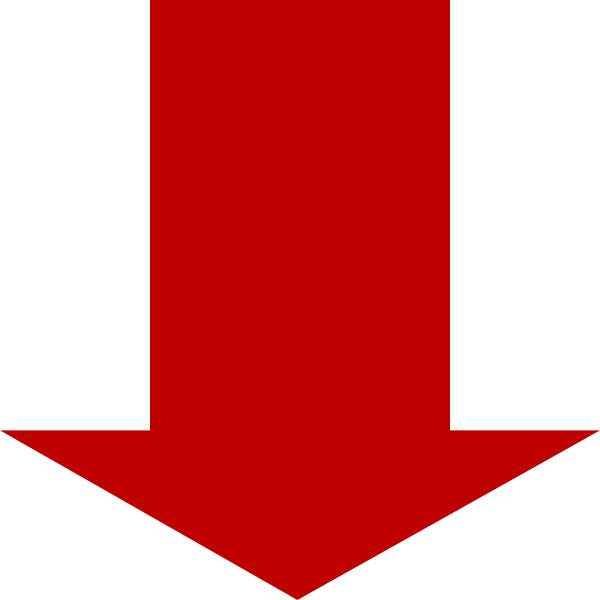 Despite the remote feel of the area it is still relatively easy to get to being less than an hour and a half’s drive from Tarragona and Reus International Airport.